After sending out invites to journalists earlier this month, Microsoft held a press conference in New York City this morning to unveil the next version of Windows Phone. Still sporting the code-name ‘Mango,’ the new operating system will soon bring over 500 new features to existing and new handsets starting this fall. Microsoft already demoed tons of developer features at MIX 2011 in April and this update mainly focuses on improvements for users. While Android and iOS users generally use different apps for text messaging and chat, Windows Phone is bringing both technologies into one place. The new threads feature makes having a conversation over SMS, Facebook Chat, or Windows Live Messenger possible from one place. 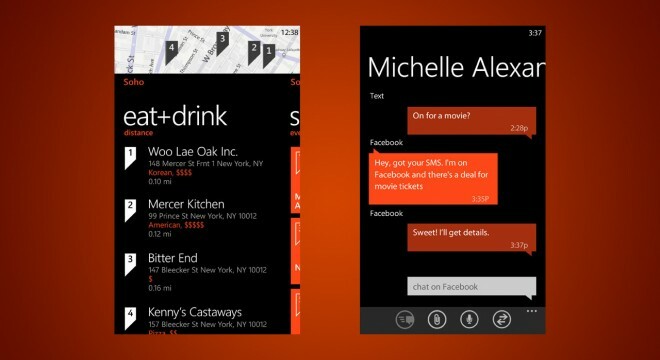 Users can now turn groups of contacts into personalized live tiles on the home screen for quick access. This will make it easy to send messages to everyone in a group instantly and to keep tabs on their status updates. Microsoft is also taking social networking integration further by adding LinkedIn and Twitter directly into contact cards to complement the existing Facebook implementation. It is even possible to check-in to places from the native interface. Windows Phone ‘Mango’ also creates a unified inbox for multiple email accounts with better organization for threaded conversations. Features such as voice-to-text and text-to-voice enables hands free use as well. The most notable new addition is definitely multitasking. Holding down the back key brings up thumbnails of open applications for quick switching. The improved live tiles now provide more dynamic information and bring notifications to users without having to open the respective app. The search capabilities in Windows Phone ‘Mango’ goes beyond competition by looking through third-party apps for results. For instance, scanning a book with Bing Vision will list the Amazon Kindle app as an option to buy and download a copy immediately. Another great addition is Internet Explorer 9 which brings hardware acceleration for fast page rendering and better HTML5 compatibility. The local scout tool provides location-based search results and recommendations for nearby venues. Bing can now also identify music much like Shazam or SoundHound out of the box. Last but not least, Quick Cards create sets of summarized information for items such as a product, movie, event, or location. While definitely behind the 350k apps in the Apple App Store or the 200k apps in the Google Android Market, Microsoft now touts a selection of 17k in the Windows Phone Marketplace. I am also looking forward to Nokia handsets featuring this operating system possibly as early as by the end of this year. Acer, Fujitsu, and ZTE also announced partnerships with Microsoft to launch their own Windows Phone handsets around the world. More localized languages and support for non-Latin scripts are also on their way to further extend reach. Developer can grab the latest Windows Phone Developer tool kit for free to get started on building and test apps. One feature that went unmentioned was voice-guided turn-by-turn directions, which is an absolute essential at this point to take on Google Maps Navigation. 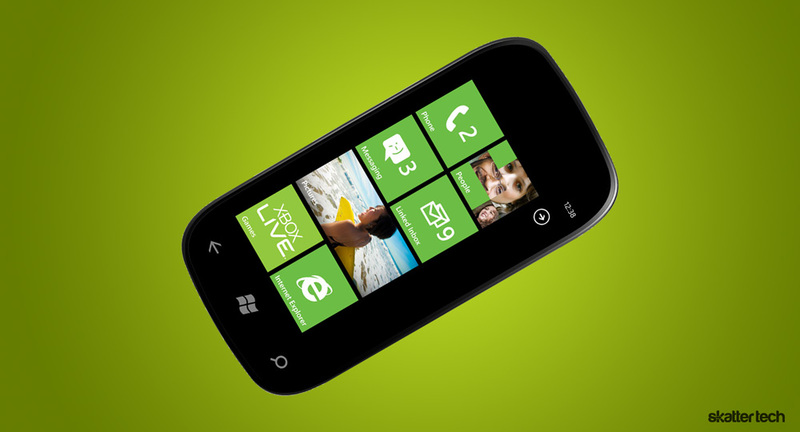 I was also hoping to hear more focus for 4G enabled handsets, but Microsoft provided barely any details. Windows Phone ‘Mango’ is a definite improvement with several innovative features, but it is probably not enough to truly take on leading competitors just yet. Things can change quickly if Microsoft keeps up the pace and continuously introduces a new version of their mobile operating system every few months.